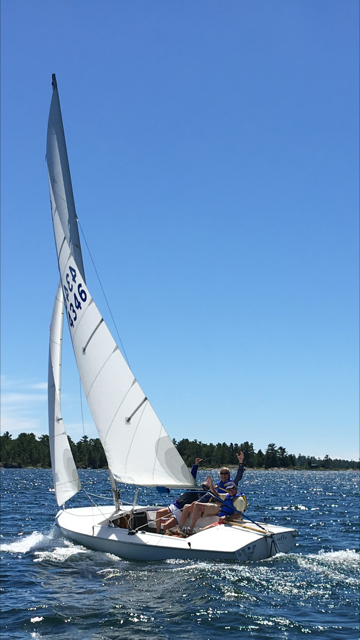 Wow, wasn’t last weekend of weather more like fall…yet kudos to the Findlay family for carrying on in Pointe au Baril fashion with the Senior Regatta! This week’s calendar is chock full of wonderful events…from Jr Naturalist to the Ojibway Art Show; from a PaBIA Phragbusting Cut to celebrating the new Steamboat Channel Reserve; from Sailing Race to plans for a Junior Sailing Day to get our young sailors ready for JR PaBAR in a few weeks! 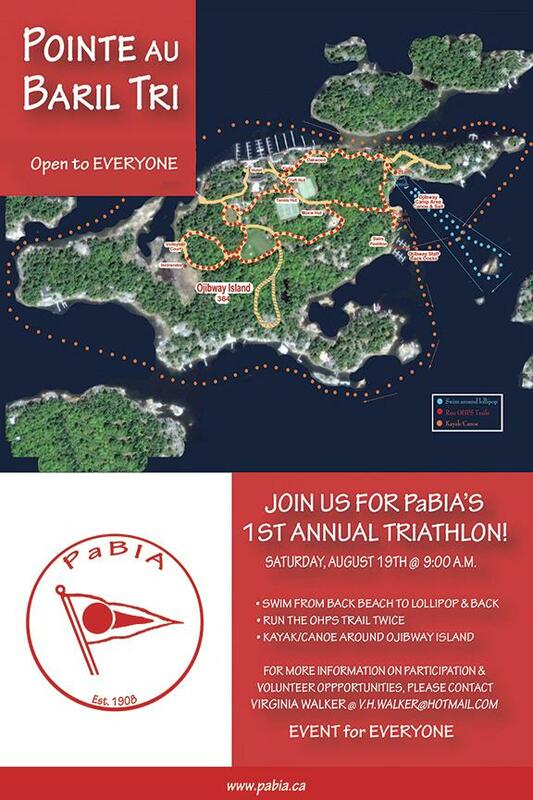 And don’t forget to sign up for PaB’s 1st Annual Triathlon – it’s for EVERYONE! 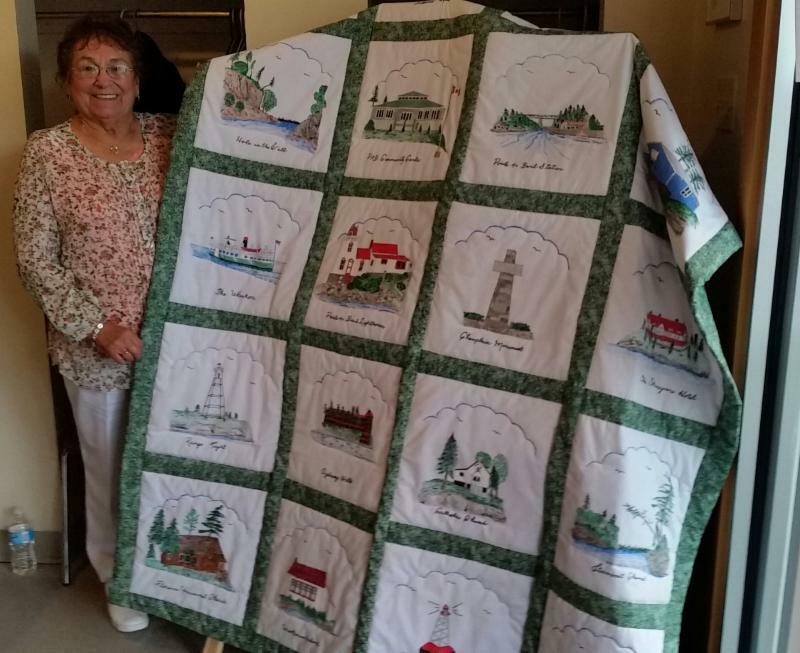 And there is loads of information re eagles, medical emergency preparations, dehooking yourself from a fish hook, an opportunity to win a quilt handmade by Emmaline, and a special thank you from Sted Garber! Read on! 4 yr. – 14 yrs. 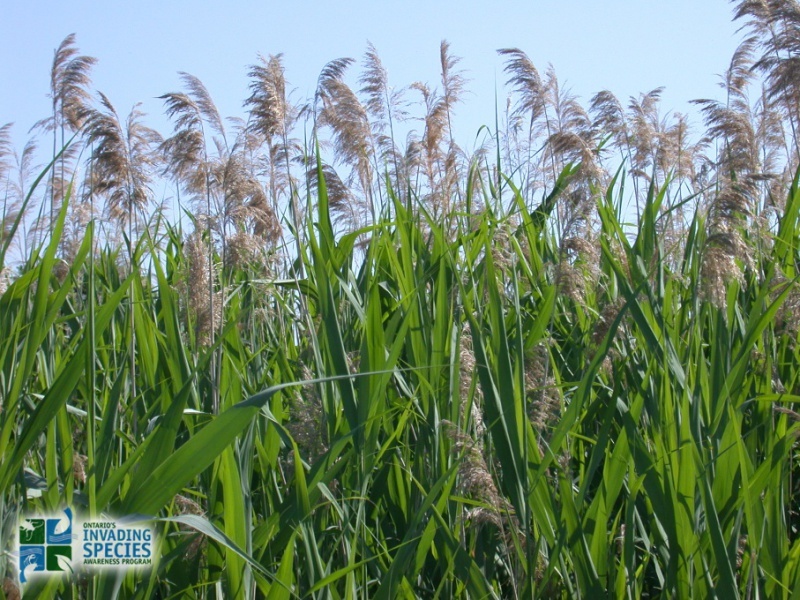 **Age: 8-14 – 1:00 – 2:30 p.m.
**Age: 4-7 – 2:30 – 4 p.m.
Why are the wetlands so important? How do we measure various habitats? How does one collect data? 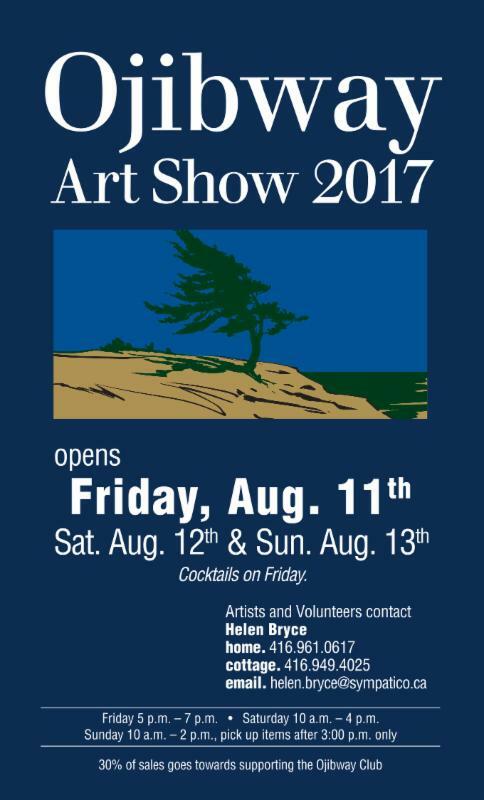 Ojibway Art Show – Everyone Welcome! Saturday 10:00 a.m. – 4 p.m.
Meet at the NE point of Bonnie Isle or Dock at A22 @ 10:00 a.m.
A Free Volunteer Appreciation Lunch Following the Cut! One team will be collecting seed heads and putting them in bags, and moving the stalks to our drying location (hauling team). The MP team is getting super excited to show you the processes involved in doing your respective jobs. Volunteers should wear clothing and shoes that can get wet, because the volunteers will likely end up in the water especially the cutting team. Everyone should bring a change of clothes and a towel. Please email the Marine Patrol re the number of folks coming and so folks can plan for the free lunch! Of course, the Marine Patrol is available Thursday and Friday to answer any questions you have about the day. SIGN UP by contacting the Marine Patrol NOW! Racing was held this past weekend in Upper Shawanaga, a big open bay just northeast of Burnt Island. The winds were light and variable as it oscillated 10 degrees from the dominate northwest. 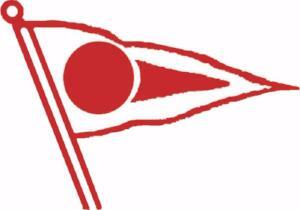 The newest Scot fleet sailors managed to score a victory and Albacore wins continued to be split. The Lasers were chased by an older Olympian as a Finn joined in the single handed fleet. Thanks to Leanna and Bill Foster for hosting a lovely Rendezvous on their deck overlooking the Bay. This coming weekend Races 5&6 will be held Saturday August 12 at 2:00 pm on the Poplar Island course. 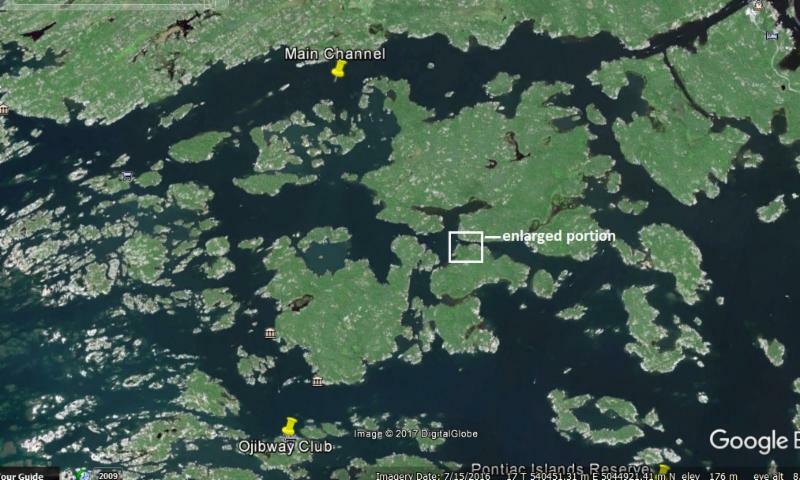 The Rendezvous will be hosted by Pat Poellet and Rick Spiering at A 96-78 on Champlain Monument Island. Contact Rainer Kaufmann if you would like to participate! 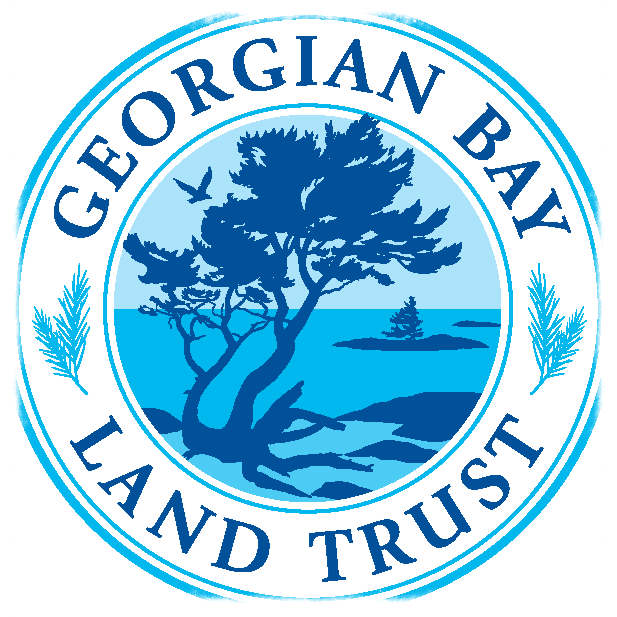 Join the Georgian Bay Land Trust for a picnic and celebration of the recently protected Steamboat Channel Reserve. 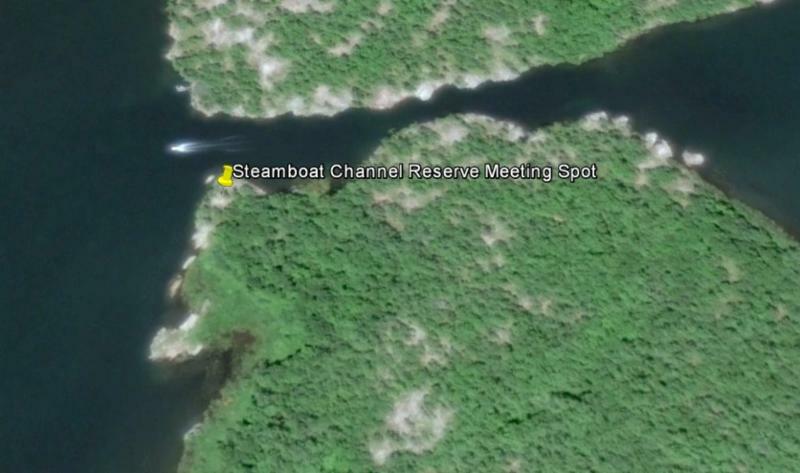 We’ll meet at the western point of Mackenzie Island’s Steamboat Channel shoreline, near the newly installed plaque (see attached map). Bring your own picnic to enjoy, and learn about the ecological features of the island with herpetologist John Urquhart and GBLT staff. See you there! Due to the popular demand of those on either side of the Jr Member age bracket, PaBIA is excited to announce opening the Triathlon up to EVERYONE OF ALL AGES so long as they are PaBIA members! 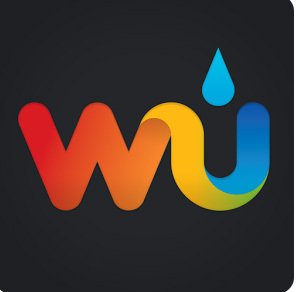 Know someone who wants to participate but is yet not a member? Please send this eBlast to them and encourage them to join in the fun! Don’t wait – as there are just a limited number of Triathlon shirts- given out on a first come, first serve basis! $15 entry fee! Team Members & Says Thanks to Others! 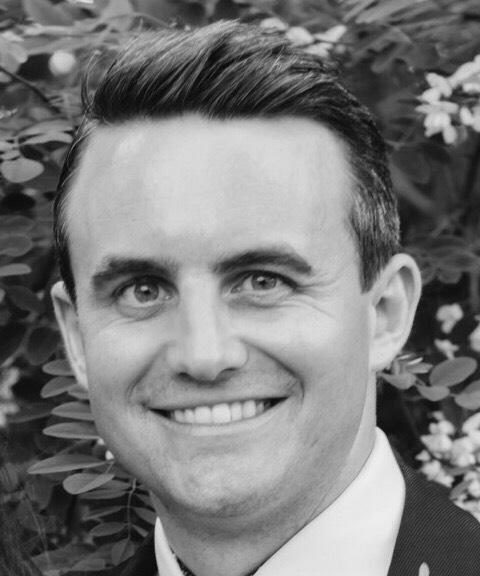 Jamie Bunston, says, “I am pleased to be a participating member of the OPCZBL Committee and have found it to be an extremely rewarding experience to help shape the Township of the Archipelago’s Official Plan, which affects zoning by-laws, development/permit applications, and effects how we all enjoy the Bay. I am pleased to be part of the next generation of PABIA members and cottagers who will be the beneficiaries of good planning policies and stable, sustainable development of the Bay. 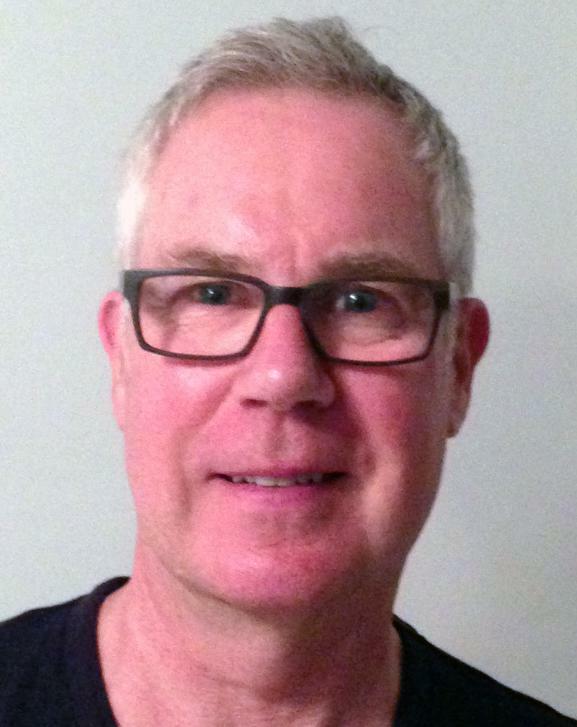 Jamie works in the real estate development industry for Carttera Private Equities in Toronto. He and his wife Emily enjoy spending time up on Pollux Island throughout the year. Phil Jenkins, new Fishing Chair, and his family have been spending summers in Pointe au Baril since the late 1960s. Phil’s first summer job was to deliver cottagers’ phone messages that were received at the Ojibway Club, a job that sent him to cottages from Osawa Island in the south, north to the lighthouse and sometimes into minor conflicts with shoals in between. Years later he took up the news delivery business again, beginning a twenty-year career as a writer, editor, producer and executive producer at Global News and then with CBC Television News in Toronto and Ottawa. For the last fifteen years he has supervised Communications’ teams with federal departments and agencies in Ottawa, providing public affairs advice to senior officials and Ministers’ offices, notably at the Canadian Coast Guard and Transport Canada. For several years he was the national spokesperson for Fisheries and Oceans Canada. Phil is currently semi-retired and lives in Gatineau, Quebec with his sweetie Aline. He spends as much time as possible in Pointe au Baril fishing, thinking about fishing, exploring the islands and building and repairing things. Phil is the father of three girls, Claire, Leah and Martha, all avid fishers. He became a grandfather last year: little Alina represents the fourth generation of the Jenkins family to step onto the shores of Horseshoe Island in Hemlock Channel. PaBIA would like to thank, aside from the Stuckey’s, Moody’s and Doug Barrett (from last week’s eBlast), Nancy Reganfor her wonderfully creative Junior Naturalist Program, that for the past several years, has brought interactive and inspiring programs to our 6 to 14 year olds – prompting curiosity and widening the scope of their natural surroundings! 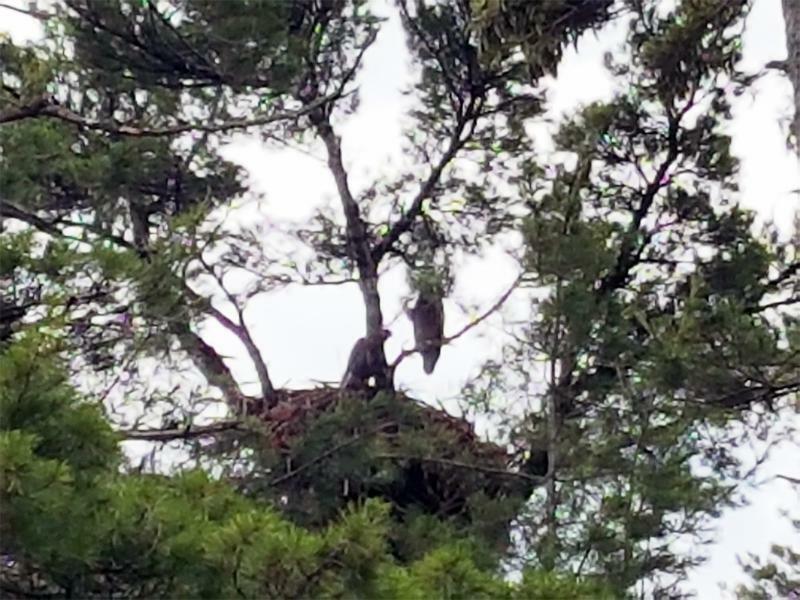 Eaglets Spotted on Pontiac Island!!! Martha Hall Findlay, PaB Cottager and Steward of GBLT’s Pontiac Island, wrote to say: “‘Our’ pair of bald eagles at Pontiac first nested here 3 years ago, but there was no sign of babies that first year. Last year, however, there were 2 young ones; and we were thrilled to watch them grow and learn to fly over the summer. “This year, there are another 2 eaglets (pictured as of mid-July); and we just saw them out testing their wings a couple of days ago. Watching a young bald eagle learn to land on a tree and do its best to keep its balance (with difficulty!) is truly an extraordinary sight. Watching them respond immediately to a parent’s call back to the nest is also quite something. 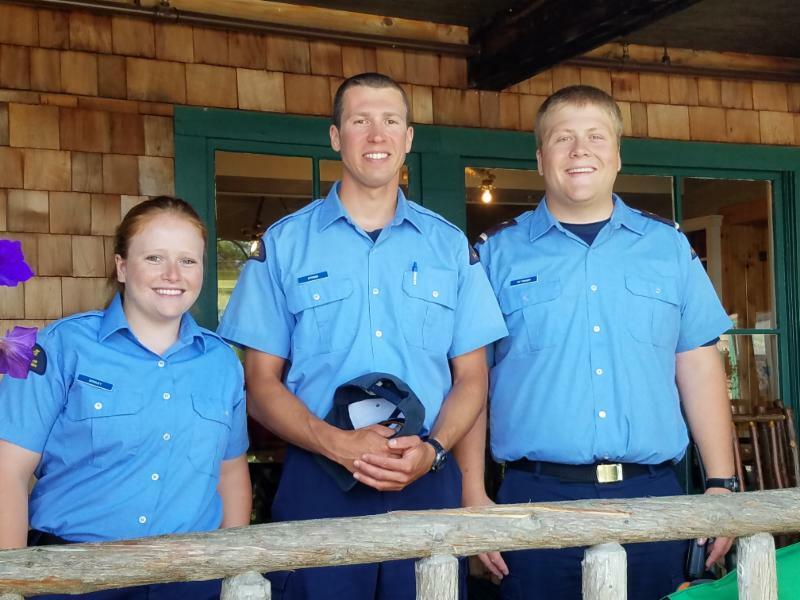 If you heard the Coast Guard this past Sunday at PaBIA’s AGM, you would know WHY one should ALWAYS wear a life jacket while traveling in a boat. Should an accident happen, and your head hits something and knocks you unconscious, what good would the stored life jacket do you? IF you set it up NOW! There are many suggestions that have come to light as a result of Sted Garber’s hip fracture over 3 weeks ago (good can come out of unfortunate circumstances)! Who has a boat big enough to transport? Who can drive at night? Who has a portable fire pump? Who has a strong back to help carry a cottager down the rocks and into a boat? Who has First Aid Training? Who has a defibrillator? A Backboard? Together you can assemble a team with multiple talents! Then write down their names and cell phone numbers onto the EMS Phone List PaBIA has created for you. And you can stay with the patient. 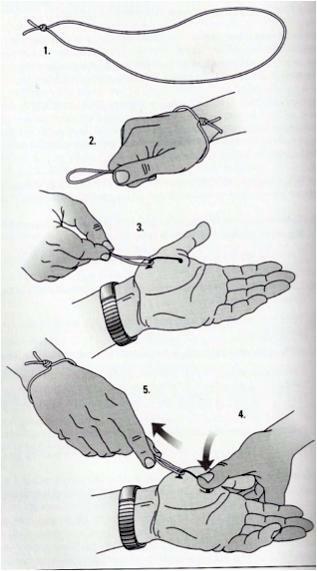 While my method of dehooking is going to the doctor, here are some instructions for those of you who are brave enough and want to try this yourself. Be very careful to follow the instructions as it can be very painful if you don’t. Take a two-foot length of at least 25 pound test line and tie the ends together so that you have a loop. Loop the line over your wrist, and form a small loop between your thumb and forefinger. Take this small loop and put it around the hook in the center of the hook’s bend. With your other thumb, press down on the eye of the hook. This action should open the wound enough for you to gently back the barb out of your flesh. Getting the barb clear of the flesh is very important. If you do not get the barb clear, you should not continue with this procedure. Finally, pull on the small loop with a sharp jerk. Frank Pschonder shared: “A few years back in the early spring when the snow was just about all gone and the ice was leaving, the day was warm about 7*C and conditions were still and foggy. 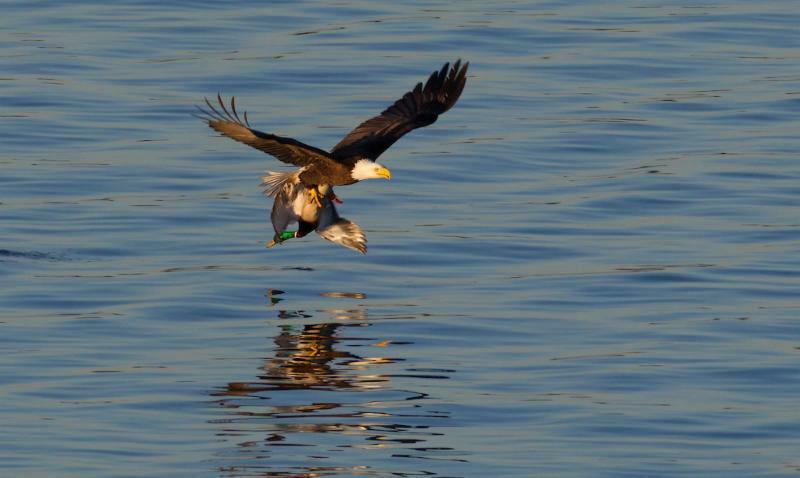 “Six or seven eagles including juveniles and and mature birds were putting on a show like none other. The mature birds were climbing high and then locking talons and tumbling end over end towards the frozen lake while the others watched in flight, releasing each other before it was too late. Sted Garber’s Thank You to the PaB Community! Robin and I have always known and felt blessed that our summer home is in a wonderful community of caring people and friends. This was made most evident when I suffered a broken hip on the evening of July 14. The response of our community was as immediate as it was critical. Robin, Simmie and I found ourselves at the Parry Sound Hospital which was without the services of its resident orthopedic surgeon due to his vacation. Robin had called our personal doctor at home and been told that the most important thing was that I should have the surgery within 48 hours, or by Sunday evening. 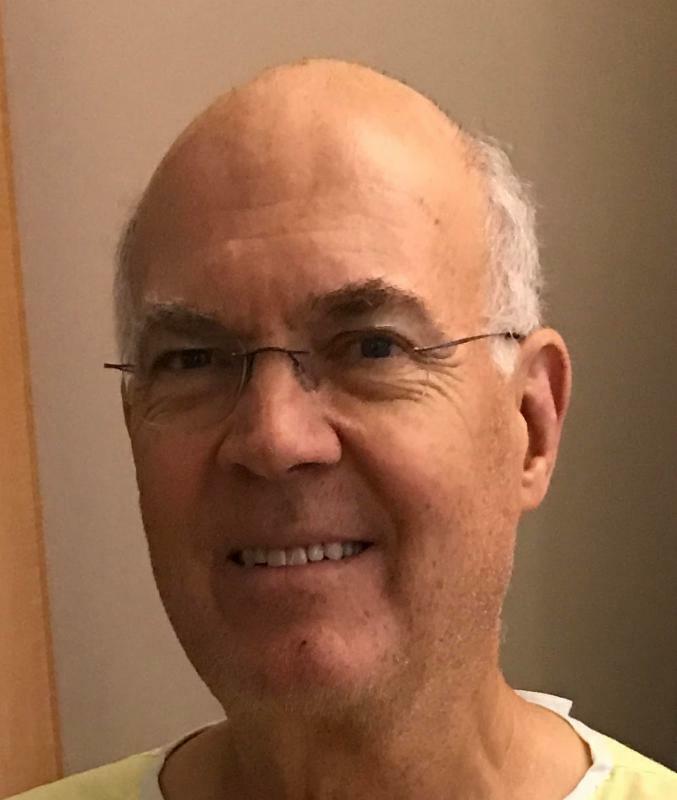 In the early hours of Saturday morning it became evident that Parry Sound could not find a hospital and surgeon for me and that surgery before Monday morning, if then, was unlikely. That is when you all went into action offering Simmie and Robin numerous suggestions of doctors to call. It turned out that Rob Thorburn’s suggestion, prompted by Jim Hilmer’s notice to our Yakkers group, of his doctor in Collingwood was the first to offer a solution and by mid Saturday morning I was scheduled for surgery Sunday morning by a top orthopedic surgeon at the Collingwood hospital. Robin and Simmie ended up staying in Collingwood at Jim Worts’ place one night and the Marley’s the second night. But they had many other offers for a place to stay and, as Saturday progressed, other doctors also were found who could have done the work. Robin and I were overwhelmed with emotion as we realized that none of this would have happened without the awesome help of our amazing friends. We thank you from the bottom of our hearts. As to the injury itself and getting to the hospital, that is another remarkable story; and it has impressed on me, and my family, the need for better emergency preparedness on our island. I must admit that I have always taken the view that a medical emergency in our beautiful semi wilderness was not likely to have a timely response and that that is a choice we make when we decide to live here. But I can tell you that Friday evening, sitting immobile on a bench on the rocks near our dock, I was most comforted when Simmie told me that help was on the way. I cannot imagine what it would have been like for me or my family to be sitting there with no prospect of help any time soon. In my case, Simmie reached out to a Good Samaritan who called 911, brought the ambulance crew to our island, helped them get me into the boat and drove me back to the station. Tremendous thanks to that person; and yes, I would certainly try to do the same; I think most of us would if we could. I think PaBIA’s Committee on Emergency Response has done a wonderful job of examining options available to us and that the recommendation for Cottager Emergency Action Plan is the best our community can do at this point. I guess all of us would like to have a volunteer or paid emergency response facility available to us; but I understand that is not going to happen in the foreseeable future. Believe me, Keemah will have a Cottager Emergency Action Plan; and I hope we will be tied in with other such plans in our neighborhood. 9:30 am sharp to 2:30 pm. The goal is to take your sailing knowledge to the next level to participate with confidence in the PABAR Regatta which is on Saturday August 19. Bring your own boat from your island – and learn how to rig it! Lasers, Laser Radials and Albacores are the preferred boats. Lasers are single-handed and Albacores can have 2-3 people per boat. 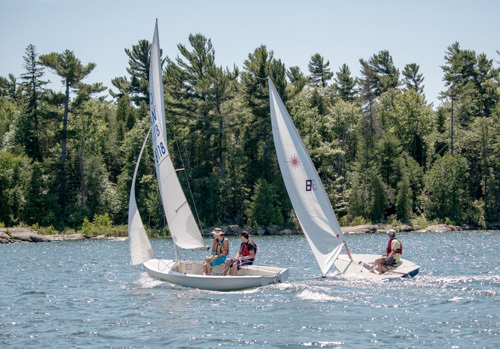 Please sign up in the Ojibway office or with the camp sailing staff. Email Margie Wheler with any questions.